I almost posted this month's #WednesdayYA book club invite a day early, so that it wouldn't interfere with this year's FTF festivities, but then I realized that there's a good chance some of you will be interested and want to take part! So to that end, Happy April, and welcome to this month's WYA! For those of you unfamiliar with #WednesdayYA, it's a book club started in January '14, hosted by myself and Liz from Consumed by Books. Liz and I realized we had a lot of the same books on our shelves (many of which we'd send to each other... talented enablers, are we), and we weren't really reading through them because we had so many other books to distract us. So we decided we'd choose one book from our collective stack ever month to read together. But why stop there, said Liz-and-I, when we could read these books with you! So on the first Wednesday of every month, we announce which book is being read that month, and on the last Wednesday of every month, we discuss it in a combo Youtube liveshow / twitter live chat! 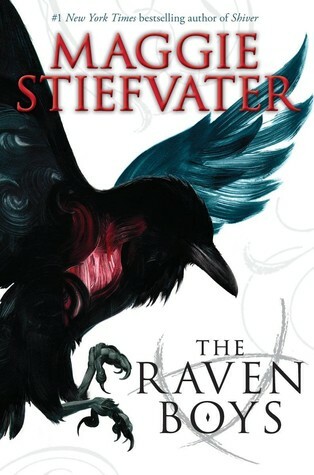 So for all of you Stiefvater fans, all of you who have been pushing The Raven Boys on me for ages, or all of you who are curious about the book, have been meaning to read it, or are just in need of a good book club at which its members may or may not have recently decided to start getting wine-drunk during their live shows, I really do hope you'll join us this month, in discussing TRB! The live chats will take place on April 29th at 8:30pm EST. You can follow along on Twitter with the hashtag #WednesdayYA, or directly on youtbe, where there will be a comments box for your questions and (drunken?) interjections. Or if you're unable to make it during the "live" part of the live show, the video will be posted here on The Book Rat the following day, and I invite you to watch our antics and weigh in! I loved this book. May try the audio version and participate.